KITTERY, Maine – Landmark Hill Plaza will be redesigned as a mixed-used subdivision after the Planning Board accepted the applicant’s final plan on June 8. 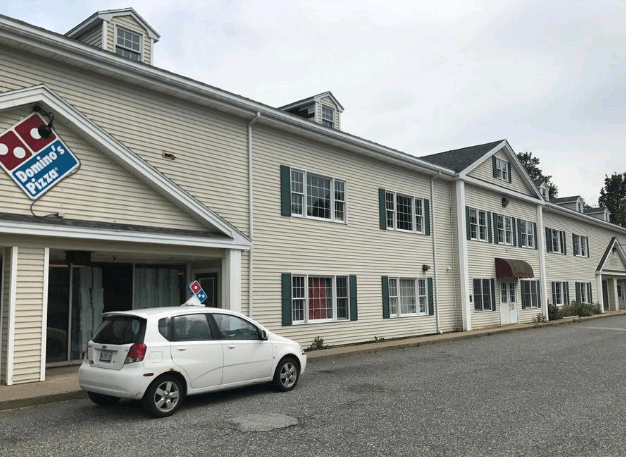 The roughly five-acre plaza located at 518 U.S. Route 1, close to the York town line currently houses a Domino’s, a day care, a senior citizen social facility and an audiologist office. The two existing buildings will be completely refurbished with new exteriors. The new facility will be called Landmark Hill Square, according to developer Michael Brigham of Lorax Sustainable Development LLC. to read the rest of the store click here. This entry was posted in General Town News on June 20, 2017 by Chuck Denault.